Jeremy King initially pursued a career in merchant banking but gave that up to go into catering, becoming Searcy's youngest ever manager at the age of 21. Although headhunted to run a restaurant, wine bar and wine importing business, he soon returned to his passion for restaurants with the arrival of American restaurant Joe Allen in London, where he became Maitre d'Hôtel. 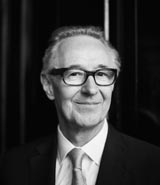 Jeremy was awarded an OBE in the 2014 New Year's Honours List for services to the Hospitality Industry and voluntary services to the Arts. Chris Corbin started his career in the aircraft engineering industry, which included working on the Concord project. He then attended Westminster College in London, where he studied Hotel and Catering Management. 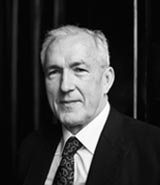 Prior to joining forces with Jeremy King, he worked for the charismatic Peter Langan at Langan's Brasserie, one of the most influential restaurants of the 1970's. Chris is now Chairman of Trustees of Leuka and Chairman of 'Who's Cooking Dinner?' He was awarded an OBE in the 2014 New Year's Honours List for services to the Hospitality Industry and voluntary services through Leuka. Zuleika began her career operationally within restaurants and hotels in Australasia. With experience in most Front of House departments, she worked her way up to AGM level with Hyatt, Hilton and Radisson hotels. Upon returning to the UK, she began to focus on the recruitment, training, development and welfare side of her management roles and undertook a Masters in Human Resource Management, becoming a member of the Chartered Institute of Personnel and Development. Zuleika joined Corbin & King in 2004, was appointed Director of Human Resources in 2008, became Chief Operating Officer for the Group in 2013 and Managing Director in 2017. Robert joined Chris Corbin and Jeremy King at The Ivy in 1991. He was promoted to Assistant Manager in 1995 and when Caprice Holdings acquired J. Sheekey in 1998, he was appointed General Manager. It was in 2003 that he left that role to open The Wolseley. 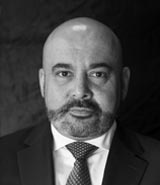 He was appointed Operations Director for the Group in August 2012. John commenced his career in hospitality at the Hyatt Regency in Atlanta. He returned to his home town of Dublin to work for the Four Seasons Group and achieved the position of Director of Finance during his 14-year tenure, with a two year hiatus at rival hotels within the City. John relocated to Bangkok with Four Seasons in 2014, which was subsequently rebranded Anantara Siam Hotel Bangkok. 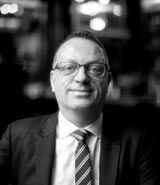 John joined Minor Hotels Corporate Office Bangkok in April 2016 as Group Director of Finance - New Projects. He was seconded to Corbin & King in February 2018 as Group Finance Director. After studying Hospitality & Resort Management at Bath College, Jason commenced his career in restaurants in Bath before working as a wine waiter at The Knoll House Hotel in Poole, where he was promoted to Spa Manger during his 3 years. He worked as an Assistant Restaurant Manager in Jersey before relocating to Florida, as a Cultural Representative for the United Kingdom at Walt Disney World Resort. Jason was employed as a Chef de Rang on the Cunard Line before joining Chris and Jeremy at J. Sheekey as Maître d'Hôtel in 1998. 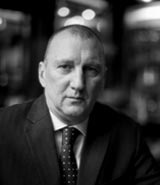 He was part of the opening team for The Wolseley as Front of House Manager and became Director of Hospitality for the Group in 2017. Jayne was born in Liverpool and studied Business & Finance at Bournemouth University. Her first position was as Merchandise Manager at the Hard Rock Café on Piccadilly, before being promoted to Floor Manager. 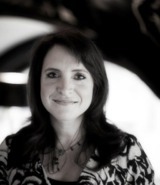 In 2000, she joined Quaglino's as their Reservations and Reception Manager. 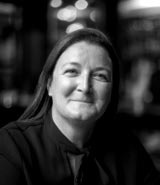 Jayne joined Corbin & King as a Maître d'Hôtel at The Wolseley in 2006 until she took over as Reservations Manager in 2010. She was appointed a Director in January 2016. Ninoska's first venture with Chris and Jeremy began in February 1994 when she was appointed Head of Personnel & Development for Caprice Holdings Limited. 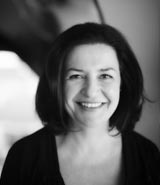 Upon the establishment of Corbin & King Restaurants, Ninoska became Head of Personnel from 2003 - 2005. She then worked part time as a Personnel Consultant before assuming the role of Learning & Development Manager and subsequently Group Head of Personnel & Development in April 2014. Since September 2018, Ninoska has been Director of Personnel & Development for the Group.